Categories: Performance Light, Control System. Tag: wireless solution. 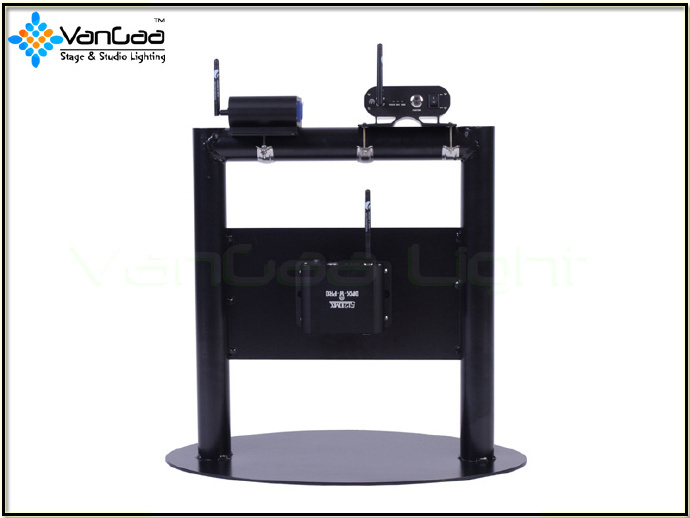 To make the stage light and other DMX-512 fixtures connection more convenient, we have designed this kind wireless high signal power DMX-512 transmitter and receiver. Just connect to the signal outlet of any DMX-512 controllers, no need to connect any signal cable between the controller and the lighting equipment, the DMX-512 control system will be built between the controller and the controlled lightings. Each transmitter can control up to 512 receivers which can have up to 512 channels. These equipments are suitable for all the DMX-512 signal controlled fixtures. Suitable for all kinds DMX 512 fixtures. List: Wireless DMX transmitter and receiver, power cord, C-fixing part.